This post is dedicated to the beautiful Cheetah we stumbled upon in Sabi Sabi, South Africa. 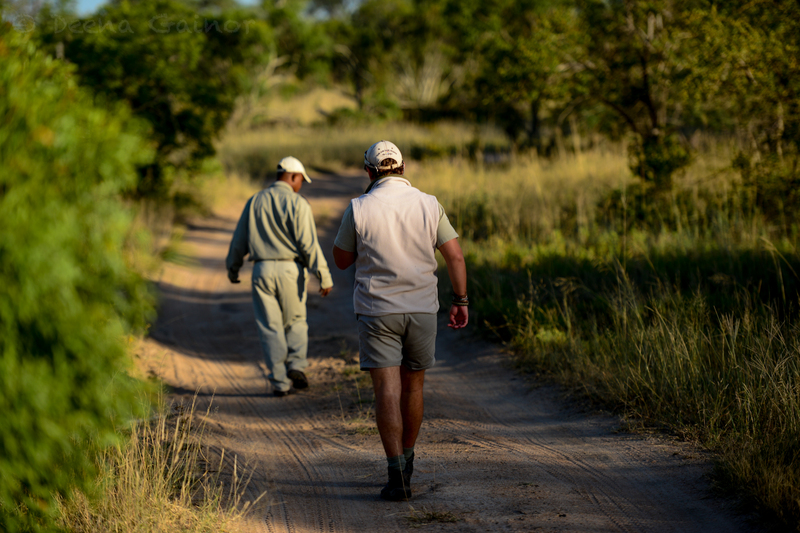 We are thankful to our amazing tracker, Dollen, and our friendly, knowledgeable, fun guide Kosie, who were almost more excited than we were when we found him! Our Cheetah allowed us to watch him for a while and then, without warning, crouched low, became very alert, and shot off in pursuit of something. It all happened so quickly and though we tried to find him again, he had just disappeared. 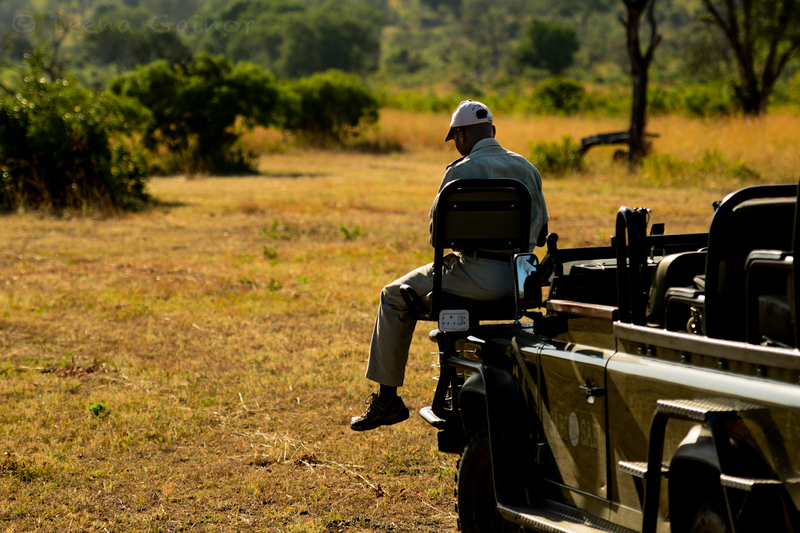 Here is how we began our mornings, with Kosie driving and our tracker, Dollen, sitting high up in front, keeping an eye out for any wildlife. Dollen had an amazing eye. 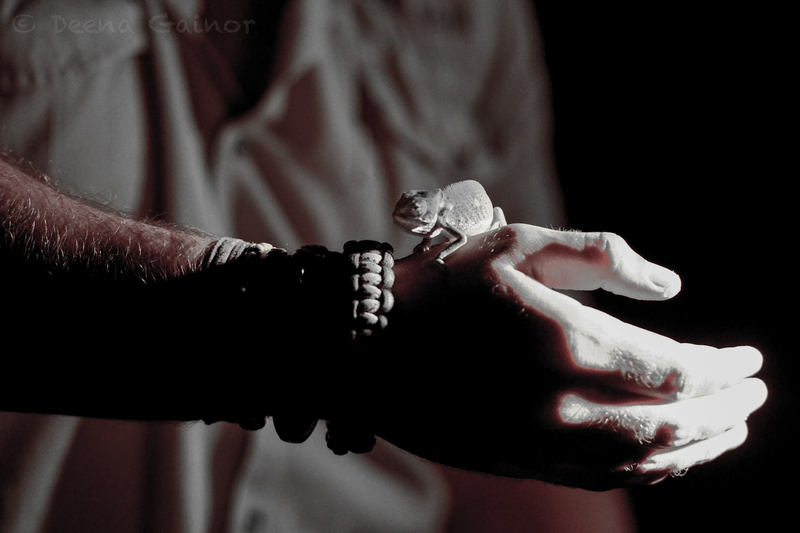 Our very first night out, in the dark, he spotted a tiny green Chameleon sitting on a green leaf. I have absolutely no idea how he did it, but once that happened, we knew the next few days were going to be a treat! A Chameleon spotted in the dark! Here are a few images of that beautiful Cheetah. I will do an additional post with our other sightings, but this particular day was really special. I hope you enjoy it! Thanks again to Dollen and Kosie! We had a wonderful stay and would safari with both of you any day! Thanks so much! They are beautiful creatures, aren’t they?